How did the transcontinental railroad shape our perception of space and time in the American West? Here’s a brief answer in eleven parts. These 11 cut-paper slides will take you through the early history of the Central Pacific and Southern Pacific Railroads. Though heralded as the great unifier of America, the transcontinental rail line was built far ahead of demand. While regional rail networks often proved profitable, the transcontinental railroad was initially a failure. 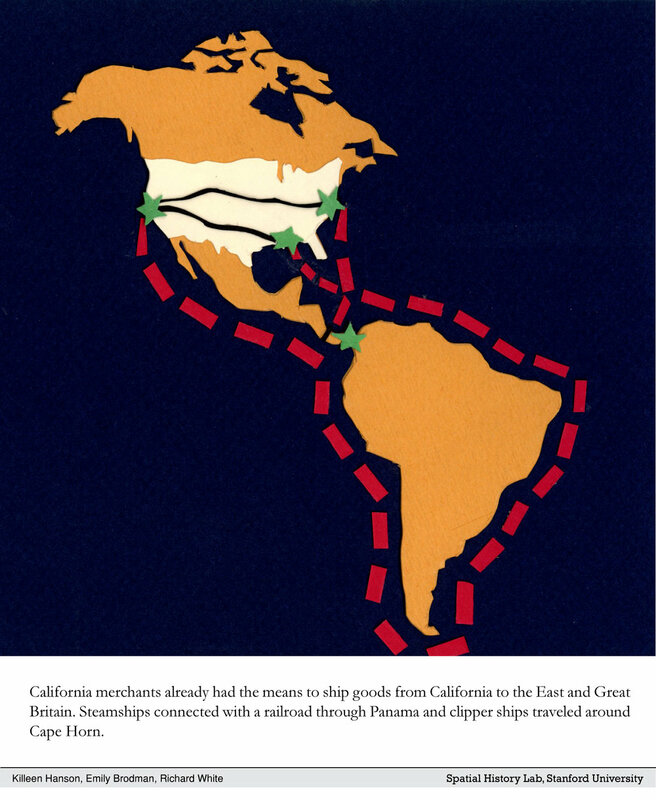 The first three decades of the original Pacific Railroad and subsequent transcontinentals were fraught with financial troubles, internal corruption and fierce competition with cheaper, more established shipping routes. 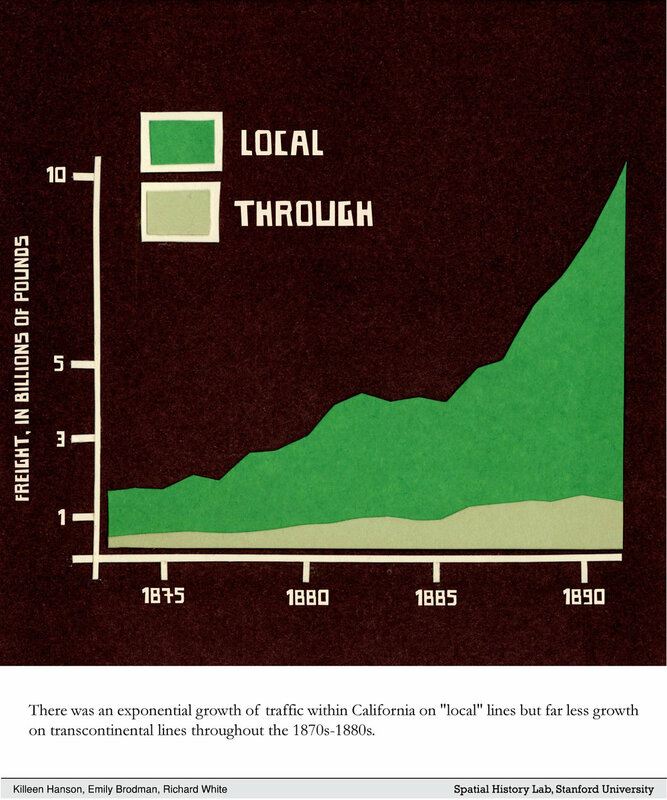 It wasn't until nearly 1900 that cross-country rail traffic became consistently profitable. Produced in collaboration with Emily Brodman and Richard White for the Shaping the West project at the Spatial History Lab - now the Center for Spatial and Textual Analysis (CESTA) - at Stanford University. You can see an animation of all 11 illustrations here. All materials are property of the Spatial History Lab at the Center for Spatial and Textual Analysis at Stanford University.